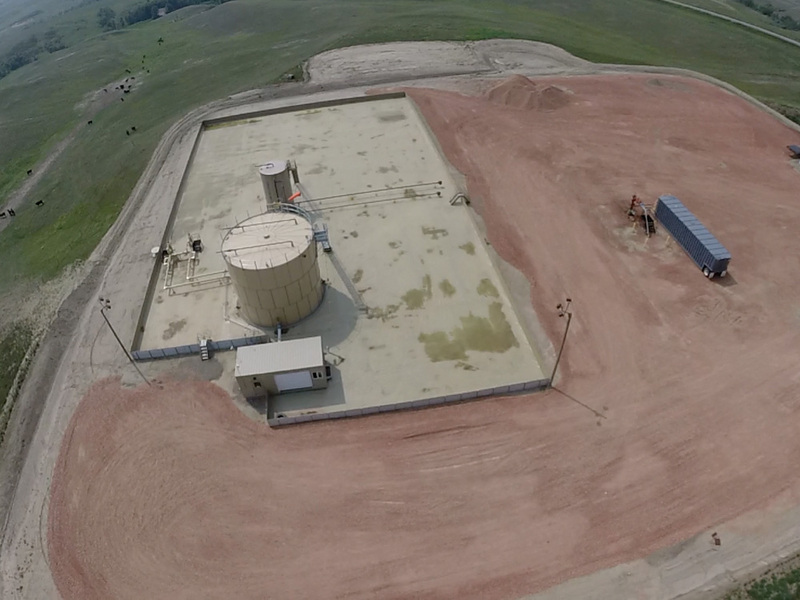 Ameraguard uses only PURE Polyurea for oil and gas purposes. 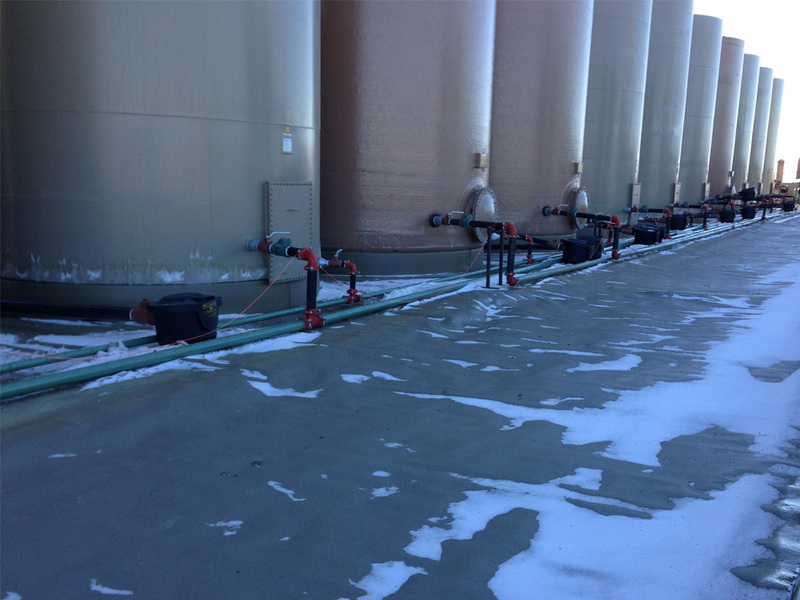 A hybrid polyurea should never be used for secondary containment or in any environment where hydrocarbons are present. 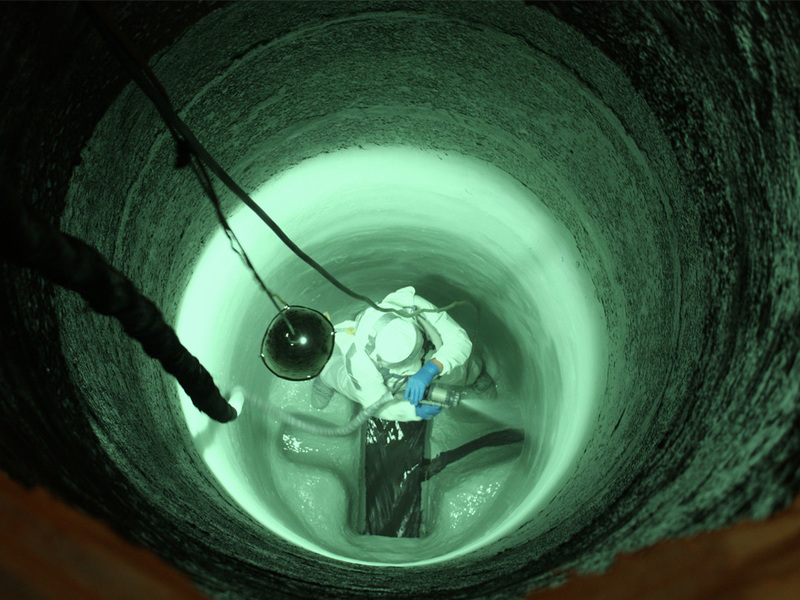 For all secondary containment applications, Ameraguard suggest AG7123 . If you are currently using another provider for polyurea and your chemical is not shipping via HAZMAT, this is a key indication that you may not be using a PURE polyurea. 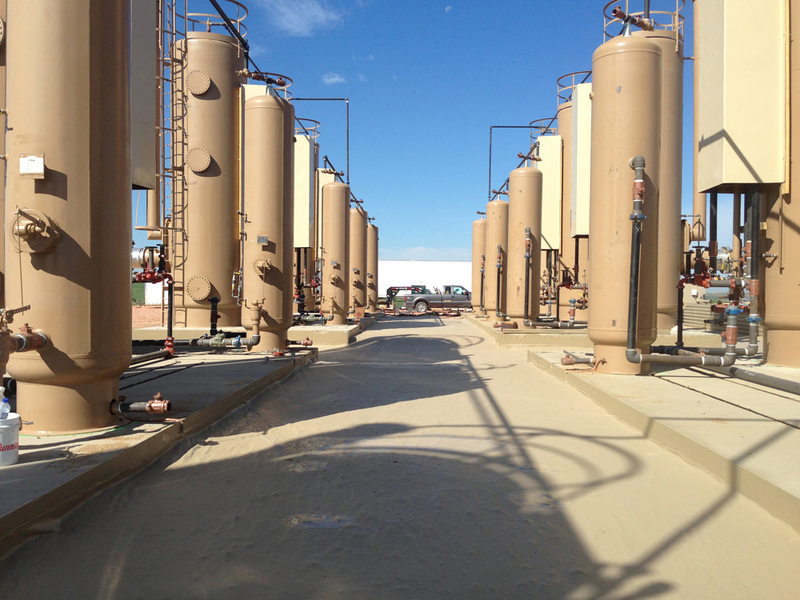 Ameraguard is the leading provider of pre-sprayed geotextile membranes in the oil and gas industry. 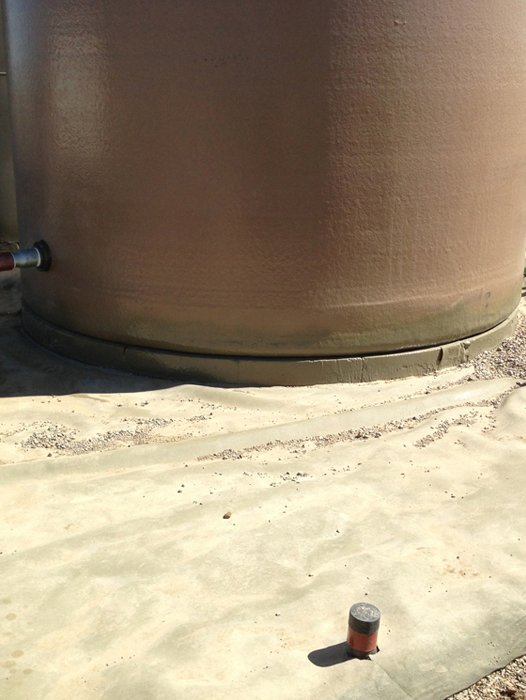 We utilize a patented automated process to spray 10oz heat treated non woven geotextile with 60 mils of PURE Polyurea including texture. 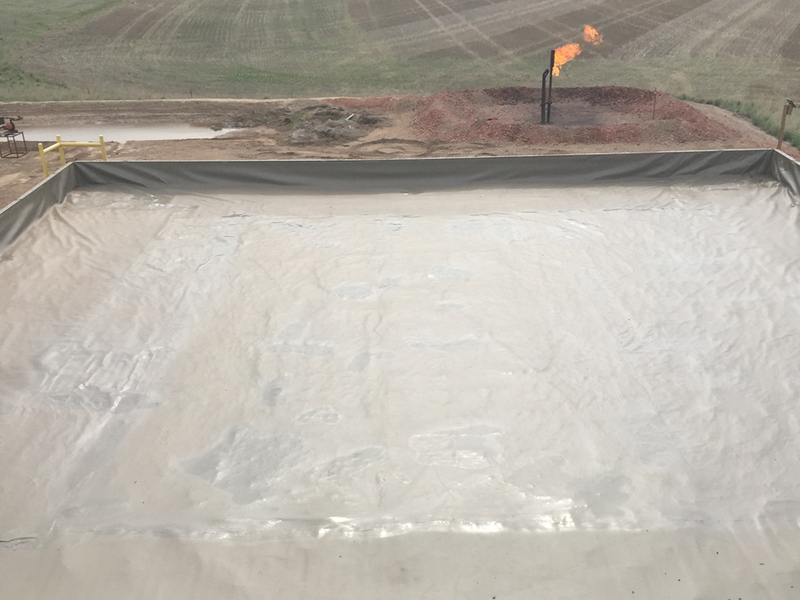 By spraying the geotextile in a controlled environment, we are able to keep waste to a minimum and provide the customer with the best product at the best price possible. On average, 15-20% of material is lost to wind, debris, and error when spraying in the field. We take this 15-20% and not only utilize it, but pass that quality and savings onto the customer. 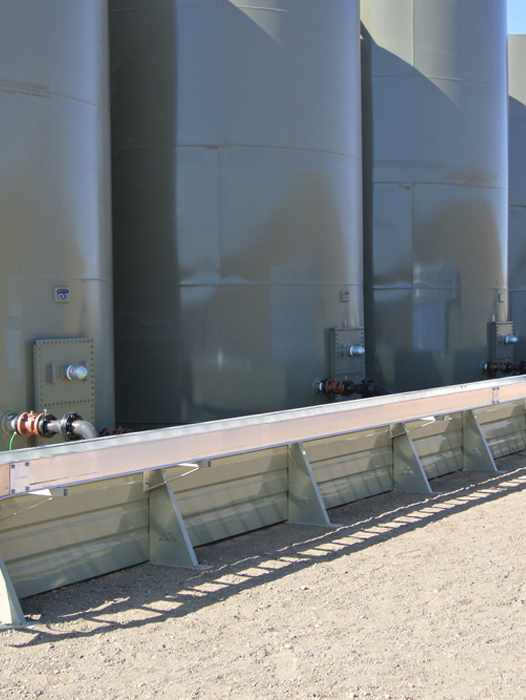 We strive to keep the industry's needs met with our constant production of pre-sprayed membranes in the leading three oil & gas BLM colors of Covert Green, Industrial Tan, and Carlsbad Canyon. 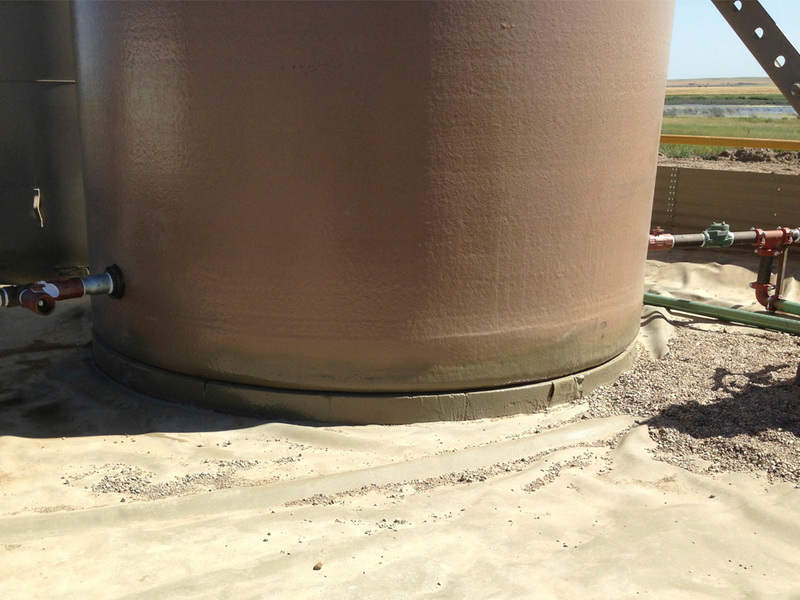 Why use a containment system pre sprayed liner? Reduced Labor and Material Cost. What is the liner made of? 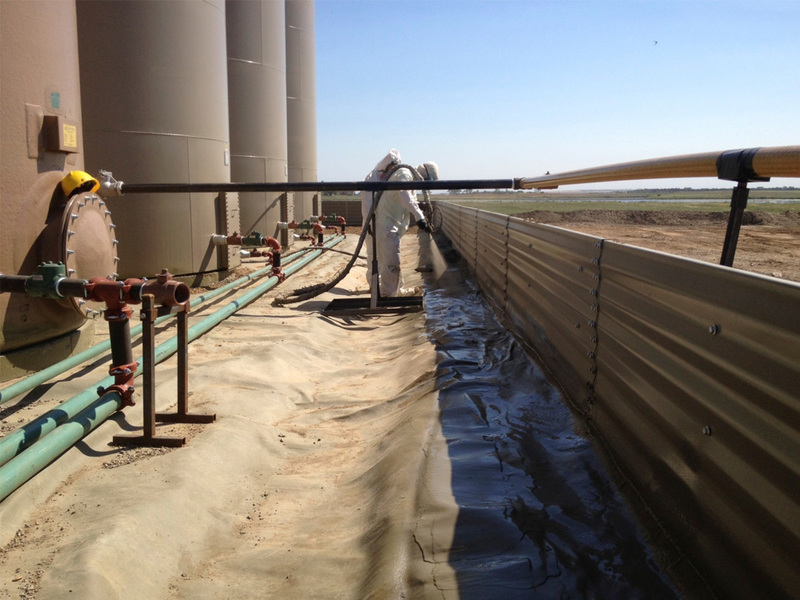 Why a Ameragurad pre sprayed geotextile liner? 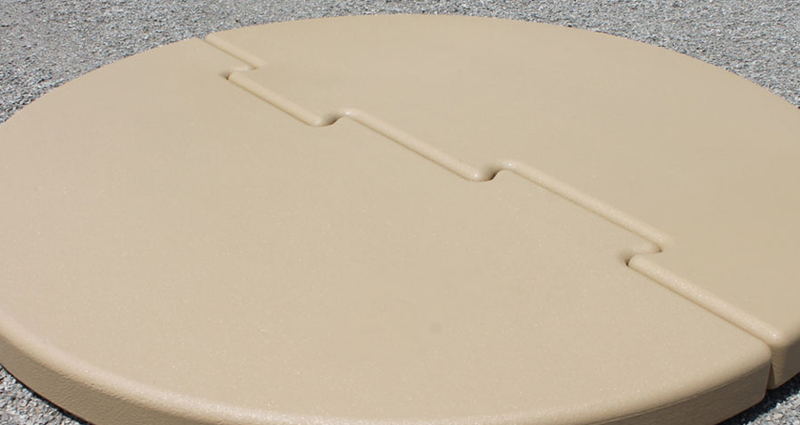 What is the purpose of the tank pad? What is the tank pad made of? 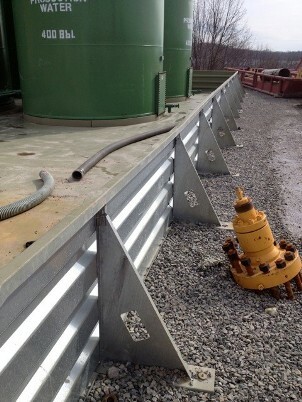 Many times in the secondary containment site, generators are used. In the past, these items have been placed on concrete pads. Now with the use on Ameraguard’s generator pads, you can place the generator anywhere in the containment site and with ease. The generator pads are easy to install, lightweight and extremely durable. Made of the same 2 lb styrofoam, the generator pads are also protected with 1/4″ boards before being encapsulated in poluyrea. 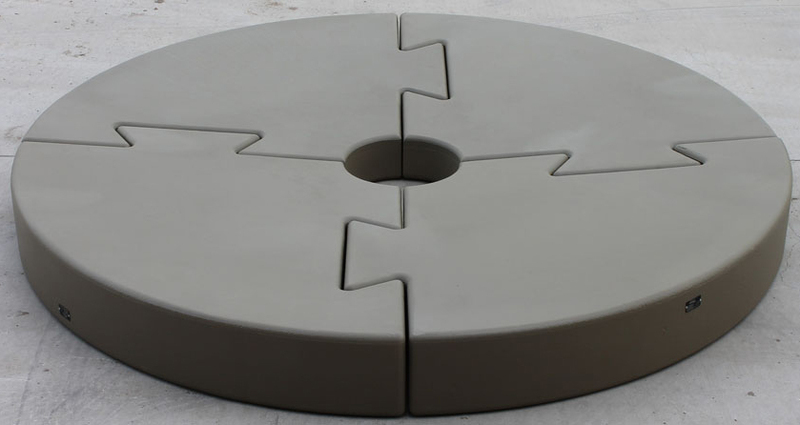 The pads are custom manufactured to any size and thickness you might need. Contact us to places an order.